Product prices and availability are accurate as of 2019-04-20 05:40:57 UTC and are subject to change. Any price and availability information displayed on http://www.amazon.com/ at the time of purchase will apply to the purchase of this product. ZLINE 36 in. 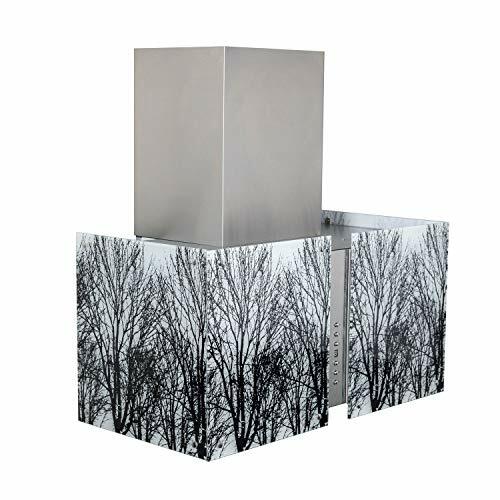 760 CFM Wall Mount Range Hood in Stainless Steel (ART2-36) has a modern design and built-to-last quality that would make it a great addition to any home or kitchen remodel. This hood's high-performance 4-speed motor will provide all the power you need to quietly and efficiently ventilate your kitchen while cooking. Modern features, including built-in lighting and aluminum mesh baffle filters for easy clean-up, will make using this hood a simple, enjoyable experience for years to come. ZLINE Hoods are ETL Listed and have one of the easiest installations in the industry. Includes two(2)-16 in. telescoping chimney pieces for approximately 8-9 ft. ceilings. Chimney Short Kits and Extensions (not included) are available for shorter or taller ceilings. Charcoal Filters (not included) available for Ductless Option. ZLINE stands by all products with its Manufacturer Parts Warranty.